Will the United States move past Kavanaugh-Supreme Court fight? The polarising battle over Donald Trump's nominee for the United States' highest court has ended, but voter repercussions could soon arrive. On Saturday afternoon, after a week-long FBI investigation into Christine Blasey Ford’s sexual assault allegations against Brett Kavanaugh, President Donald Trump's nominee for the US Supreme Court, a 50-48 vote in the US Senate marked the end of a fierce battle between Democrats and Republicans. But in the wake of the historic decision, political debate in the United States is more inflamed than ever. Fundamental questions have arisen over the repercussions of Kavanaugh’s appointment to the nation's highest court – and especially what impact they will have on the outcome of November’s midterm elections. According to some pollsters, Republicans may have improved their odds of keeping the Senate majority, where the GOP's base will be crucial. 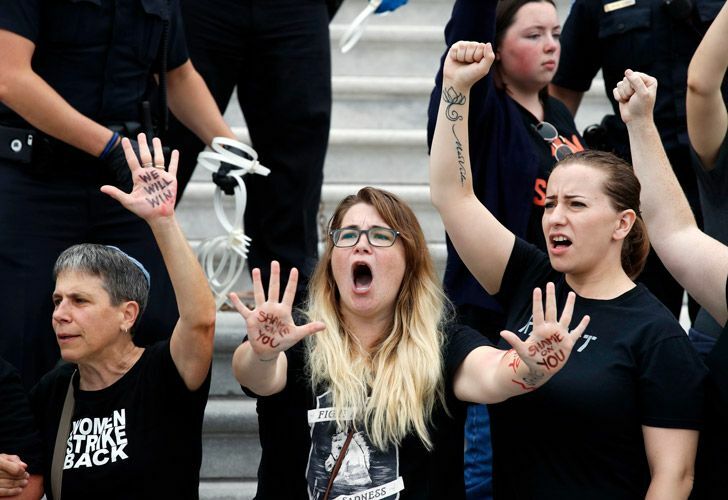 But Judge Kavanaugh’s confirmation could also spark a backlash from female voters in dozens of highly competitive House races, where swing districts and swing voters will decide who controls the chamber. "So I've been hearing that now they're thinking about impeaching a brilliant jurist,” he said. “A man that did nothing wrong, a man that was caught up in a hoax that was set up by the Democrats using the Democrats' lawyers and now they want to impeach him." Kavanaugh was sworn in on Saturday evening in a private ceremony at the Supreme Court. 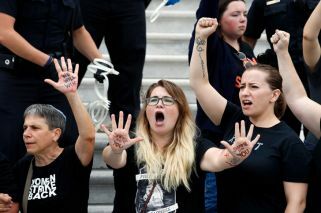 Before, during and after the Senate vote, crowds of protestors and activists united outside the Supreme Court and broke through barriers in front of the Capitol’s steps to protest against the 53-year-old justice confirmation. "I am a survivor and I vote," “We will win” and "Shame on you" were some of the slogans chanted by the crowd. More than 300 ended up being arrested for violation of the Washington code against crowding, obstructing or incommoding. Even Hollywood has raised its voice. "This chapter in our history book will not be the story of men who believed men, that's old news," tweeted Time's Up, a movement founded by celebrities to provide subsidised legal support to those who have experienced sexual harassment, assault, or abuse in the workplace. "It will be the story of an avalanche of women who spoke truths and seized our power." Kavanaugh’s nomination process has been plagued by sexual misconduct allegations made by three women. The first one was Christine Blasey Ford, who testified before the Senate Judiciary Committee claiming Kavanaugh sexually assaulted her in 1982. According to a YouGov poll, 73 percent of Democrats believed Ford, while 74 percent of Republicans believed Kavanaugh – a demonstration of how even a sexual misconduct report can turn into a partisan issue in today’s US politics.